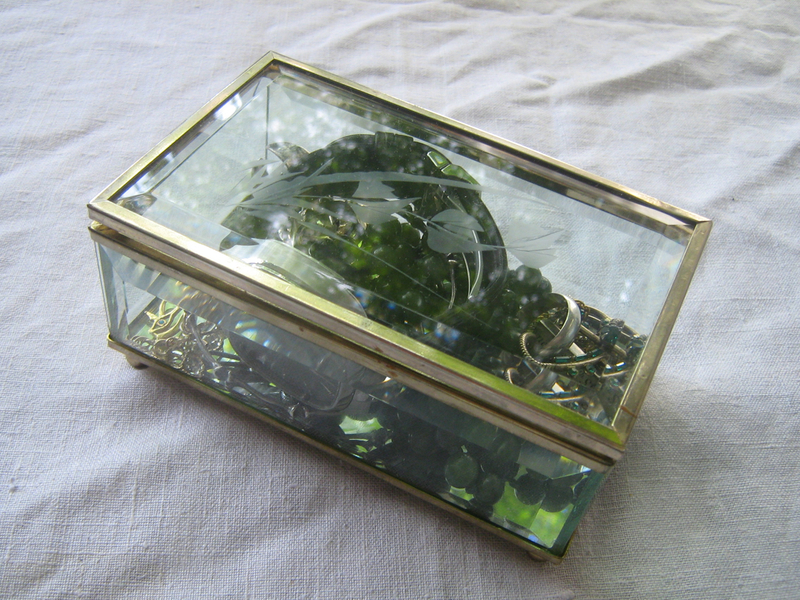 When I was visiting my sister last week, she gave me this brass and bevelled and etched glass jewelry casket. It has changed my life for the better. First of all, it’s super important to not wear your jewelry to bed (as I was reminded earlier this week when my necklace snagged on a blanket and the chain snapped). In the old place, I was using a little wooden bowl as pin tray, but I kept knocking it over and my rings and things would scatter all over the floor. The box is a much more practical solution. It’s solidly footed so it doesn’t shift all over the bedside table. Which means that the contents don’t shift and become tangled. It’s clear so I can see what’s inside and it’s pretty.It is just for overnights though — I’ve got proper jewellery boxes to keep things stored in. 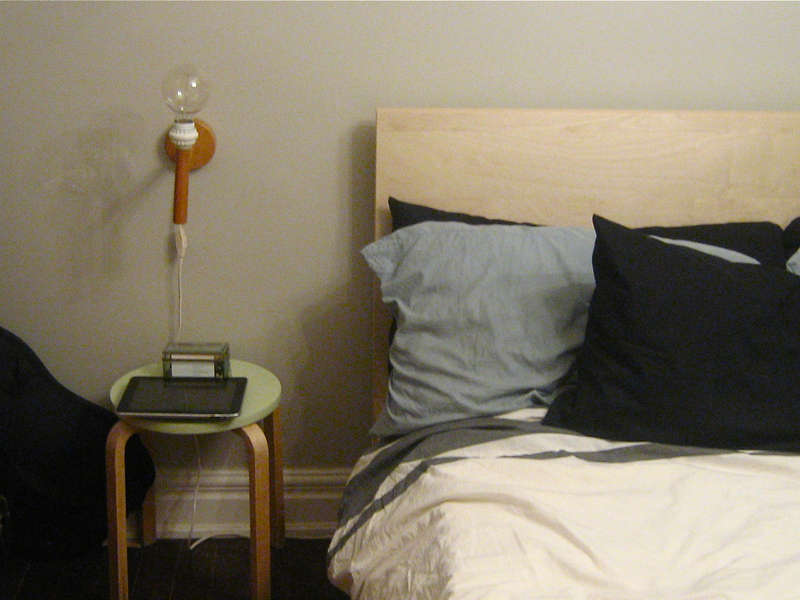 Here’s a picture of in situ along with my new bedside lamp and upcycled side table (which I’ll write about next week).